This activity book tells the amazing true story of how two bicycle-making brothers from Ohio, with no more than high-school educations, accomplished a feat that forever changed the world. At a time when most people still hadn’t ridden in an automobile, Wilbur and Orville Wright built the first powered, heavier-than-air flying machine. Woven throughout the heartwarming story of the two brothers are activities that highlight their ingenuity and problem-solving abilities as they overcame many obstacles to achieve controlled flight. 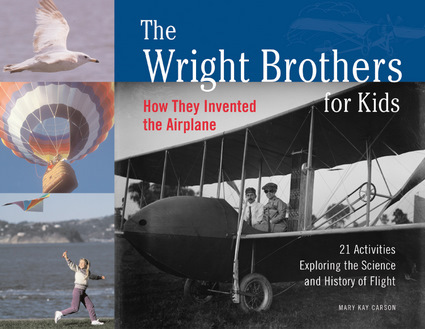 The four forces of flight—lift, thrust, gravity, and drag—and how the Wright brothers mastered them are explained in clear, simple text. Activities include making a Chinese flying top, building a kite, bird watching, and designing a paper glider, and culminate with an activity in which readers build a rubber-band-powered flyer. Included are photographs just released from the Wright brothers’ personal collection, along with diagrams and illustrations. The history of human flight and its pioneers, a time line, and a complete resource section for students are also provided. 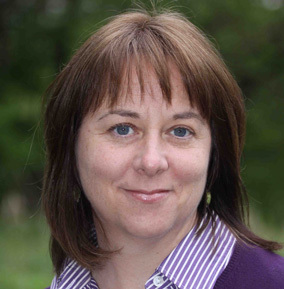 Mary Kay Carson is the author of Space, Great Weather Activities, Wow's and Why's of Weather, and The Creepiest, Scariest, Weirdest Creatures Ever! She lives in Cincinnati, Ohio. Heroism and horror abound in these true stories of 16 great explorers who journeyed to the Arctic and Antarctic regions, two exquisite and unique ice wildernesses. Recounted are the exciting North Pole adventures of Erik the Red in 982 and the elusive searches for the “Northwest Passage” and “Farthest North” of Henry Hudson, Fridtjof Nansen, Fredrick Cook, and Robert Peary. Coverage of the South Pole begins with Captain Cook in 1772; continues through the era of land grabbing and the race to reach the Pole with James Clark Ross, Roald Amundsen, Robert Scott, and Ernest Shackleton; and ends with an examination of the scientists at work there today. Astounding photographs and journal entries, sidebars on the Inuit and polar animals, and engaging activities bring the harrowing expeditions to life. Activities include making a Viking compass, building a model igloo, making a cross staff to measure latitude, creating a barometer, making pemmican, and writing a newspaper like William Parry’s “Winter Chronicle.” The North and South Poles become exciting routes to learning about science, geography, and history. Nineteenth-century America and the world of Samuel L. Clemens, better known as Mark Twain, come to life as children journey back in time with this history- and literature-laden activity book. The comprehensive biographical information explores Mark Twain as a multi-talented man of his times, from his childhood in the rough-and-tumble West of Missouri to his many careers—steamboat pilot, printer, miner, inventor, world traveler, businessman, lecturer, newspaper reporter, and most important, author—and how these experiences influenced his writing. Twain-inspired activities include making printer’s type, building a model paddlewheel boat, unmasking a hoax, inventing new words, cooking cornpone, planning a newspaper, observing people, and writing maxims. An extensive resource section offers information on Twain’s classics, such as Tom Sawyer and The Adventures of Huckleberry Finn, as well as a listing of recommended web sites to explore. Children will find artistic inspiration as they learn about iconic artists Frida Kahlo and Diego Rivera in these imaginative and colorful activities. The art and ideas of Kahlo and Rivera are explored through projects that include painting a self-portrait Kahlo-style, creating a mural with a social message like Rivera, making a Day of the Dead ofrenda, and crafting an Olmec head carving. Vibrant illustrations throughout the book include Rivera's murals and paintings, Kahlo's dreamscapes and self-portraits, pre-Columbian art and Mexican folk art, as well as many photographs of the two artists. Children will learn that art is more than just pretty pictures; it can be a way to express the artist's innermost feelings, a source of everyday joy and fun, an outlet for political ideas, and an expression of hope for a better world. Sidebars will introduce children to other Mexican artists and other notable female artists. A time line, listings of art museums and places where Kahlo and Rivera's art can be viewed, and a list of relevant websites complete this cross-cultural art experience. In this stellar activity book, kids delve into the rich history of space exploration, where telescopes, satellites, probes, landers, and human missions lead to amazing discoveries. Updated to include the recent discovery of Eris which, along with Pluto, has been newly classified as a “dwarf planet” by the International Astronomical Union, this cosmic adventure challenges kids to explore the planets and other celestial bodies for themselves through activities such as building a model of a comet using soil, molasses, dry ice, and window cleaner; or creating their own reentry vehicle to safely return an egg to Earth’s surface. With biographies of more than 20 space pioneers, specific mission details, a 20-page field guide to the solar system, and plenty of suggestions for further research, this is the ultimate guidebook to exploring the solar system. Bringing to life an era when rivers, lakes, and oceans were the nation’s highways and lighthouses served as traffic signals and maps, this comprehensive reference provides children with an in-depth history of lighthouses and firsthand stories of the challenges faced by lighthouse keepers. Filled with engaging activities such as learning how to tie a bowline knot and building a model lighthouse, this unique book also includes a field guide to U.S. lighthouses, places to visit, a time line, glossary, websites to explore, and a reading list for further study. Kids can experience William Shakespeare’s England and get their first taste of the Bard’s sublime craft with this lively biography and activity book. Staging swordplay, learning to juggle, and creating authentic costumes like a flamboyant shirt with slashed sleeves or a lady’s lace-trimmed glove bring the theater arts to life. Making a quill pen and using it to write a story, binding a simple book by hand, creating a fragrant pomander ball and a dish of stewed apples show what daily life was like in Elizabethan times. Inspired by scenes from Shakespeare’s plays, kids can invent new words, write songs, and devise scathing or comical insults just as he did. Fascinating and accurate historical information and 21 fun activities open a dramatic new world of learning for children ages 8 and up. The marriage of art and science is celebrated in this beautifully illustrated four-color biography and activity book. Kids will begin to understand the important discoveries that da Vinci made through inspiring activities like determining the launch angle of a catapult, sketching birds and other animals, creating a map, learning to look at a painting, and much more. Includes a glossary, bibliography, listing of pertinent museums and Web sites, a timeline, and many interesting sidebars. Heroes, traitors, and great thinkers come to life in this activity book, and the concepts of freedom and democracy are celebrated in true accounts of the distinguished officers, wise delegates, rugged riflemen, and hardworking farm wives and children who created the new nation. This collection tells the story of the Revolution, from the hated Stamp Act and the Boston Tea Party to the British surrender at Yorktown and the creation of the United States Constitution. All American students are required to study the Revolution and the Constitution, and these 21 activities make it fun and memorable. Kids create a fringed hunting shirt and a tricorn hat and reenact the Battle of Cowpens. They will learn how to make their voices heard in “I Protest” and how Congress works in “There Ought to Be a Law.” A final selection including the Declaration of Independence, a glossary, biographies, and pertinent Web sites makes this book a valuable resource for both students and teachers. History explodes in this activity guide spanning the turmoil preceding secession, the first shots fired at Fort Sumter, the fierce battles on land and sea, and finally the Confederate surrender at Appomattox. Making butternut dye for a Rebel uniform, learning drills and signals with flags, decoding wigwag, baking hardtack, reenacting battles, and making a medicine kit bring this pivotal period in our nation’s history to life. Fascinating sidebars tell of slaves escaping on the Underground Railroad, the adventures of nine-year-old drummer boy Johnny Clem, animal mascots who traveled with the troops, and friendships between enemies. The resource section includes short biographies of important figures from both sides of the war, listings of Civil War sites across the country, pertinent websites, glossary, and an index. Darwin and Evolution for Kids traces the transformation of a privileged and somewhat scatterbrained youth into the great thinker who proposed the revolutionary theory of evolution. Through 21 hands-on activities, young scientists learn about Darwin’s life and work and assess current evidence of evolution. Activities include going on a botanical treasure hunt, keeping field notes as a backyard naturalist, and tying knots for ship sails like those on the HMS Beagle. Children also learn how fossils are created, trace genetic traits through their family trees, and discover if acquired traits are passed along to future generations. By encouraging children, parents, and teachers to define the differences between theories and beliefs, facts and opinions, Darwin and Evolution for Kids does not shy away from a theory that continues to spark heated public debate more than a century after it was first proposed. This activity book features 25 projects such as making a surface survey of a site, building a screen for sifting dirt and debris at a dig, tracking soil age by color, and counting tree rings to date a find, teaches kids the techniques that unearthed Neanderthal caves, Tutankhamun’s tomb, the city of Pompeii, and Tenochtitlan, capital of the Aztec empire. Kids will delight in fashioning a stone-age tool, playing a seriation game with old photographs of cars, “reading” objects excavated in their own backyards, and using patent numbers to date modern artifacts as they gain an overview of human history and the science that brings it back to life. Now more than ever, kids want to know about our country's great struggles during World War II. This book is packed with information that kids will find fascinating, from Hitler's rise to power in 1933 to the surrender of the Japanese in 1945. Much more than an ordinary history book, it is filled with excerpts from actual wartime letters written to and by American and German troops, personal anecdotes from people who lived through the war in the United States, Germany, Britain, Russia, Hungary, and Japan, and gripping stories from Holocaust survivors—all add a humanizing global perspective to the war. This collection of 21 activities shows kids how it felt to live through this monumental period in history. They will play a rationing game or try the butter extender recipe to understand the everyday sacrifices made by wartime families. They will try their hands at military strategy in coastal defense, break a code, and play a latitude and longitude tracking game. Whether growing a victory garden or staging an adventure radio program, kids will appreciate the hardships and joys experienced on the home front. The bizarre and often humorous creations of René Magritte, Joan Miró, Salvador Dalí, and other surrealists are showcased in this activity guide for young artists. Foremost among the surrealists, Salvador Dalí was a painter, filmmaker, designer, performance artist, and eccentric self-promoter. His famous icons, including the melting watches, double images, and everyday objects set in odd contexts, helped to define the way people view reality and encourage children to view the world in new ways. Dalí’s controversial life is explored while children trace the roots of some familiar modern images. These wild and wonderful activities include making Man Ray–inspired solar prints, filming a Dali-esque dreamscape video, writing surrealist poetry, making collages, and assembling art with found objects. From his impoverished childhood to his feat of becoming one of the most successful entertainers of all time, this fascinating biography presents a memorable portrait of magician and escape artist Harry Houdini. Guidelines for 21 fun magic tricks are also provided, including how to stick a needle into a balloon without popping it, how to step through a note card, and how to make a coin vanish. Illustrating the science and logic behind many of Houdini's most notable acts, the magic-based activities also explain his famous Milk Can Escape through an accessible water displacement experiment and demonstrate simple mathematics with his Odd Number Trick. Touching on his time as an actor, an aviator, and possibly even a spy for the U.S. government, this thoroughly entertaining biography also features a time line, curriculum links for educators, and books and websites for further exploration. 2012 VOYA Nonfiction Honor List Selection Best known for his general theory of relativity and the famous equation linking mass and energy, E = mc², Albert Einstein had a lasting impact on the world of science, the extent of which is illuminated—along with his fascinating life and unique personality—in this lively history. In addition to learning all about Einstein's important contributions to science, from proving the existence and size of atoms and launching the field of quantum mechanics to creating models of the universe that led to the discovery of black holes and the big bang theory, young physicists will participate in activities and thought experiments to bring his theories and ideas to life. Such activities include using dominoes to model a nuclear chain reaction, replicating the expanding universe in a microwave oven, creating blue skies and red sunsets in a soda bottle, and calculating the speed of light using a melted chocolate bar. Suggestions for further study, a time line, and sidebars on the work of other physicists of the day make this an incredibly accessible resource for inquisitive children. Celebrating one of the most influential figures in jazz, this comprehensive biography incorporates the legendary Duke Ellington’s talents into engaging activities for children. Enlisting the musician’s gifts as a pianist, composer, and band leader, this interdisciplinary approach shows how to create a ragtime rhythm, make a washtub bass, write song lyrics, dance the Lindy Hop, and even design an album cover. Exploring Ellington’s life and career, this activity guide includes information on additional topics such as the Harlem Renaissance, the musical evolution of jazz, and how technology has changed over the years—from piano rolls and record albums to CDs, television, and portable music devices. A time line, glossary, selected bibliography, and extensive resources—including Ellington’s greatest recordings, related websites, and recommendations for further study—are also included. The Far East comes alive in this activity book centered on Marco Polo’s journey to China from Venice along the 13th-century Silk Road. Kids will join Marco as he travels by caravan through vast deserts and over steep mountain ranges, stopping in exotic cities and humble villages, until at last he arrives at the palace of the Kublai Khan. Woven throughout the tale are 21 activities that highlight the diverse cultures Marco encountered along the way. Activities include making a mythical map, creating a mosaic, fun with Feng Shui, making paper, and putting on a wayang-kulit (shadow-puppet play). Just for fun, kids will learn a few words of Turkish, Persian, Mongol, Hindi, and Chinese. A complete resource section with magnificent museums and their Web sites invites kids to embark on their own expedition of discovery. Following Meriwether Lewis and William Clark’s Corps of Discovery as they navigate the muddy Missouri River and begin a great adventure, this activity book is set against the background of the vast North American continent. It takes children from President Jefferson’s vision of an exploratory mission across a continent full of unique plants and animals through their dangerous and challenging journey into the unknown to the expedition’s triumphant return to the frontier town of St. Louis. Twenty-one activities bring to life the Native American tribes they encountered, the plants and animals they discovered, and the camping and navigating techniques they used. A glossary of terms and listings of Lewis and Clark sites, museums, and related websites round out this comprehensive activity book. A lifelong love of art is one of the greatest gifts an adult can bestow on a child—and no period of art is better loved or more available to children than Impressionism. Monet and the Impressionists for Kids invites children to delight in Cassatt’s mothers and children, Renoir’s dancing couples, and Gaugin’s island scenes; 21 activities explore Monet’s quick shimmering brush strokes, Cezanne’s brilliant rectangles of color, Seurat’s pointillism, and Degas’ sculpture-like circles of dancers. Kids will learn how the artists’ friendships sustained them through repeated rejection by the Parisian art world, and how they lived, painted, and thrilled to the vibrant life of Paris at the approach of the 20th century. A resource section guides readers to important museums and Web sites around the world. Surprisingly, kids were some of the key instigators in the Civil Rights Movement, like Barbara Johns, who held a rally in her elementary school gym that eventually led to the Brown vs. Board of Education Supreme Court school desegregation decision, and six-year-old Ruby Bridges, who was the first black student to desegregate elementary schools in New Orleans. In The Civil Rights Movement for Kids, children will discover how students and religious leaders worked together to demand the protection of civil rights for black Americans. They will relive the fear and uncertainty of Freedom Summer and learn how northern white college students helped bring national attention to atrocities committed in the name of segregation, and they’ll be inspired by the speeches of Martin Luther King, Jr., Medgar Evers, and Malcolm X. Activities include: reenacting a lunch counter sit-in; organizing a workshop on nonviolence; holding a freedom film festival followed by a discussion; and organizing a choral group to sing the songs that motivated the foot soldiers in this war for rights. Galileo, one of history's best-known scientists, is introduced in this illuminating activity book. Children will learn how Galileo's revolutionary discoveries and sometimes controversial theories changed his world and laid the groundwork for modern astronomy and physics. This book will inspire kids to be stargazers and future astronauts or scientists as they discover Galileo's life and work. Activities allow children to try some of his theories on their own, with experiments that include playing with gravity and motion, making a pendulum, observing the moon, and painting with light and shadow. Along with the scientific aspects of Galileo's life, his passion for music and art are discussed and exemplified by period engravings, maps, and prints. A time line, glossary, and listings of major science museums, planetariums, and web sites for further exploration complement this activity book. Providing a fresh perspective on one of the most beloved presidents of all time, this illuminating activity book tells the rich story of Abraham Lincoln’s life and details the events of his era. Highlighting Lincoln’s warm, generous spirit and impressive intellect, the guide teaches children about his fascinating life story, his struggles at the onset of the Civil War, and his relevance in today’s world. Activities include delivering a speech, holding a debate, drawing political cartoons, and making a stovepipe hat or miniature Mississippi River flatboat. Lively sidebars, abundant photographs and illustrations, and fun projects help to kick the dust off old Honest Abe. Also included are selections from some of Lincoln’s most famous speeches and documents, as well as a resource section of Web sites to explore and sites to visit, making this a comprehensive Lincoln biography for young readers. From the Native Americans who lived in the Chicago area for thousands of years, to the first European explorers Marquette and Jolliet, to the 2005 Chicago White Sox World Series win, parents, teachers, and kids will love this comprehensive and exciting history of how Chicago became the third largest city in the U.S. Chicago’s spectacular and impressive history comes alive through activities such as building a model of the original Ferris Wheel, taking architectural walking tours of the first skyscrapers and Chicago’s oldest landmarks, and making a Chicago-style hotdog. Serving as both a guide to kids and their parents and an engaging tool for teachers, this book details the first Chicagoan Jean Baptiste Point du Sable, the Fort Dearborn Massacre, the Great Chicago Fire of 1871, the building of the world’s first skyscraper, and the hosting of two World’s Fairs. In addition to uncovering Windy City treasures such as the birth of the vibrant jazz era of Louis Armstrong and the work of Chicago poets, novelists, and songwriters, kids will also learn about Chicago’s triumphant and tortured sports history. George Washington comes alive in this fascinating activity book that introduces the leader to whom citizens turned again and again—to lead them through eight long years of war, to guide them as they wrote a new Constitution, and to act as the new nation’s first executive leader. Children will learn how, shortly after his death in 1799, people began transforming George Washington from a man into a myth. But Washington was a complex individual who, like everyone, had hopes and fears, successes and failures. In his early 20s, for instance,Washington’s actions helped plunge Great Britain and France into war. He later fought for liberty and independence, yet owned slaves himself (eventually freeing them in his will). This book weaves a rich tapestry of Washington’s life, allowing kids to connect with his story in 21 hands-on projects based on his experiences and the times in which he lived. Children will learn how to tie a cravat, write with a quill pen, follow animal tracks, sew a lady’s cap, plant a garden, roll a beeswax candle, play a game of Quoits, and make a replica of Washington’s commander-in-chief flag. The text includes a time line, glossary, websites, travel resources, and a reading list for further study. Franklin Delano Roosevelt’s enduring legacy upon the history, culture, politics, and economics of the United States is introduced to children in this engaging activity book. Kids will learn how FDR, a member of one of the founding families of the New World, led the nation through the darkest days of the Great Depression and World War II as 32nd U.S. President. This book examines the Roosevelt family—including famous cousin Teddy Roosevelt and First Lady Eleanor Roosevelt—as well as FDR’s early political career and subsequent 12 years in office during some of the most fascinating and turbulent times in American history. Interspersed throughout are first-hand accounts from the people who knew FDR and remember him well. Children will also learn how his personal struggles with polio and his physical disability strengthened FDR's compassion and resolve. In addition, kids will explore Roosevelt's entire era through such hands-on activities as staging a fireside chat, designing a WPA-style mural, sending a double encoded message, hosting a swing dance party, and participating in a political debate. Thomas Edison, one of the world's greatest inventors, is introduced in this fascinating activity book. Children will learn how Edison ushered in an astounding age of invention with his unique way of looking at things and refusal to be satisfied with only one solution to a problem. This book helps inspire kids to be inventors and scientists, as well as persevere with their own ideas. Activities allow children to try Edison's experiments themselves, with activities such as making a puppet dance using static electricity, manufacturing a switch for electric current, constructing a telegraph machine, manipulating sound waves, building an electrical circuit to test for conductors and insulators, making a zoetrope, and testing a dandelion for latex. In addition to his inventions and experiments, the book explores Edison's life outside of science, including his relationship with inventor Nikola Tesla, his rivalry with George Westinghouse, and his friendship with Henry Ford. A time line, glossary, and lists of supply sources, places to visit, and websites for further exploration complement this activity book. The heroic struggles of the thousands of slaves who sought freedom through the Underground Railroad are vividly portrayed in this powerful activity book, as are the abolitionists, free blacks, and former slaves who helped them along the way. The text includes 80 compelling firsthand narratives from escaped slaves and abolitionists and 30 biographies of "passengers," "conductors," and "stationmasters," such as Harriet Tubman, William Still, and Levi and Catherine Coffin. Interactive activities that teach readers how to navigate by the North Star, write and decode a secret message, and build a simple lantern bring the period to life. A time line, reading list, glossary, and listing of web sites for further exploration complete this activity book. The Underground Railroad for Kids is an inspiring story of brave people compelled to act in the face of injustice, risking their livelihoods, their families, and their lives in the name of freedom. Drawing on the natural folk art tendencies of children, who love to collect buttons, bottle caps, shells, and Popsicle sticks to create beautiful, imperfect art, this activity guide teaches kids about the history of this organic art and offers inspiration for them to create their own masterpieces. The full breadth of American folk art is surveyed, including painting, sculpture, decorative arts, and textiles from the 17th century through today. Making bubblegum wrapper chains, rag dolls, bottle cap sculptures, decoupage boxes, and folk paintings are just a few of the activities designed to bring out the artist in every child. Along the way kids learn about the lives of Americans throughout history and their casual relationships to everyday art as they cut stencils, sew needlepoint samplers, draw calligraphy birds, and design quilts. Important folk artists such as the last surviving Shakers, the legendary Grandma Moses, and the Reverend Howard Finster are also explored in sidebars throughout the book. This lively and comprehensive activity book teaches young readers everything they need to know about the nation's highest court. Organized around keystones of the Constitution—including free speech, freedom of religion, civil rights, criminal justice, and property rights—the book juxtaposes historical cases with similar current cases. Presented with opinions from both sides of the court cases, readers can make up their own minds on where they stand on the important issues that have evolved in the Court over the past 200 years. Interviews with prominent politicians, high-court lawyers, and those involved with landmark decisions—including Ralph Nader, Rudolph Giuliani, Mario Cuomo, and Arlen Specter—show the personal impact and far-reaching consequences of the decisions. Fourteen engaging classroom-oriented activities involving violations of civil rights, exercises of free speech, and selecting a classroom Supreme Court bring the issues and cases to life. The first 15 amendments to the Constitution and a glossary of legal terms are also included. Featuring 21 hands-on projects that explore the scientific concepts Isaac Newton developed, this illuminating guide paints a rich portrait of the brilliant and complex man and provides young readers with a hands-on understanding of astronomy, physics, and mathematics. The activity-packed resource allows children to experiment with swinging pendulums, build a simple waterwheel, create a 17th-century plague mask, track the phases of the moon, bake an “apple pye in a coffin,” and test Newton’s three laws of motion using coins, a skateboard, and a model boat they construct themselves. A time line, excerpts from Newton's own writings, online resources, and a reading list for further exploration ensure that kids will gravitate to this unique activity book. Capturing the essence of this exceptional individual through his original writings and hands-on activities from his era, this resource tells the rich story of one of America’s most celebrated Founding Fathers. Beginning with his time as a young printer, this engaging narrative details how Benjamin Franklin became a celebrity with the publication of Poor Richard: An Almanack and how he founded the colonies’ first lending library, volunteer fire company, and postal service. Additionally, his life in science is also highlighted, from his 1751 book Experiments and Observations on Electricity to his proof a year later that lightning was an electrical discharge. Activities range from designing and printing an almanac cover and playing a simple glass armonica (a Franklin invention) to experimenting with static electricity and building a barometer. The text also features a time line, glossary, Web and travel resources, and reading list for further study. Tracing the vivid saga of Native American and pioneer men, women, and children, this guide covers the colonial beginnings of the westward expansion to the last of the homesteaders in the late 20th century. Dozens of firsthand accounts from journals and autobiographies of the era form a rich and detailed story that shows how life in the backwoods and on the prairie mirrors modern life in many ways—children attended school and had daily chores, parents worked hard to provide for their families, and communities gathered for church and social events. More than 20 activities are included in this engaging guide to life in the west, including learning to churn butter, making dip candles, tracking animals, playing Blind Man’s Bluff, and creating a homestead diorama. Celebrating the lesser known but significant lives and contributions of our nation’s early African American leaders, this multicultural complement to most children’s books on the American Revolution covers a wide spectrum of subjects, including military, art, religion, and science. Weaving the histories of dozens of men and women—soldiers, sailors, ministers, poets, merchants, doctors, and other community leaders—to properly recognize them among the founders of the United States of America, this text gives a better sense of what these individuals accomplished and the times in which they lived. Activities include celebrating Constitution Day, cooking colonial foods, publishing a newspaper, petitioning their government, and more. This valuable resource also includes a time line of significant events, a list of historic sites to visit or explore online, and Web resources for further study. A chronicle of American indigenous life, this guide captures the history of the complex societies that lived in North America when European explorers first appeared on the continent. Not only a history of tribal nations, this exploration also includes profiles of famous Native Americans and their many contributions—from early leaders to superstar athletes, dancers, astronauts, authors, and actors. 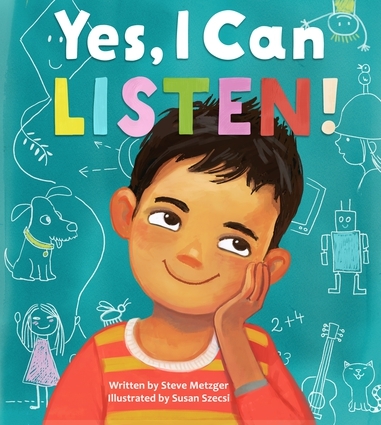 Readers will learn about Indian culture through hands-on activities, such as planting a Three Sisters Garden, making beef jerky in a low-temperature oven, weaving a basket out of folded newspaper strips, deciphering a World War II Navajo Code Talker message, and playing Ball-and-Triangle. An important look at life before the settlers until present day, this resource shows that Native American history is the history of all Americans. Hands-on activities and insightful historical information reveal the fascinating life of Theodore Roosevelt, America’s 26th president, who was also well known as a writer, a ranchman, a politician, a solider, an explorer, and a family man. Combining a rich biography, including information about his childhood, with relevant and engaging projects, this book offers a glimpse at Roosevelt’s work and times—how a sickly, undersized boy grew into a physically fit, energetic, and courageous man; how his wealth did not shield him from human tragedy; how as a leader of a young, vigorous nation, he steered a middle course between big business and working-class needs; and how his love of nature led him to protect millions of acres for posterity. Readers will create a Native American toy, explore the effects of erosion, go on a modern big-game hunt with a camera, and make felted teddy bears. The text includes a time line, online resources, and a reading list for further study—making this the ultimate reference on a great American president. One of England’s most fascinating monarchs is brought to life in this hands-on study for young minds. Combining projects, pictures, and sidebars with an authoritative biography, children will develop an understanding of the Reformation, Shakespearean England, and how Elizabeth’s 45-year reign set the stage for the English Renaissance and marshaled her country into a chief military power. Providing 21 activities, from singing a madrigal and growing a knot garden to creating a period costume—complete with a neck ruff and a cloak for the queen’s court—readers will experience a sliver of life in the Elizabethan age. For those who wish to delve deeper, a time line, online resources, and a reading list are included to aid in further study. Maps have been a part of human culture since the days of scratching on cave walls, and this richly illustrated history chronicles the road from simple diagrams used to avoid danger to the complex, navigational charts used today. Displaying an array of historic atlases and a variety of cartography styles, this book allows young readers to test their map-reading skills while discovering the intricate beauty and the wealth of information held within. Geographical concepts are spotlighted through an assortment of guided activities—including finding the elevation of hills, plotting a course with a magnetic compass, creating three-dimensional land models using a contour map, and performing a plot survey. Drawing the conclusion that the study of geography and maps is crucial to understanding an ever-changing planet, this handbook discloses the ways in which technological advances in cartography can further discussions on climate change, warfare, environmental conservation, population growth, and other timely topics. Vincent van Gogh’s admiration for and departure from Impressionism and his relationships with the other enthusiastic, like-minded artists who ultimately formed the Post-Impressionist movement are explained and explored in this collection of art activities for kids. Debunking the persistent stereotype of the mad pauper who cut off his ear, van Gogh is revealed as the serious boy who loved nature and reading and spoke four languages; the young man who took great satisfaction in the study of art, his successful career as a gallery salesman, and the “brotherhood of artists” he helped to create; and the increasingly troubled and ill man who cared deeply for family and friends and tried in vain to recover. Through a series of fun and creative projects, such as a Starry Night Peep Box, a Pointillist Sailboat, and a Japanese Fold-out Album, kids will be exposed to such art as van Gogh’s vibrant landscapes, Paul Signac’s Mediterranean Sea images in dazzling dots, and Paul Gauguin’s tropical landscapes in unnatural colors. Aspiring young artists and history buffs will learn whether or not these famous painters always got along, how they helped each other in the process, and what made Post-Impressionist art unlike anything ever painted. Africa is brought to life in this imaginative look at the plants, animals, and people that make it such a fascinating continent. Studies of both traditional tribes and modern African cities showcase Africa's diversity, and authentic activities allow kids to dive into the rich culture by making a Maasai bivouac shelter, writing a fable in the African style, working as a field biologist, making a ritual elephant mask, and learning to tie an African Kanga dress. This cross-cultural study also shows kids what challenges Africa faces today while giving them a look at what it is like to live on this interesting continent.